Joe Budden says that he’s not a fan of Meek Mill and Nicki Minaj’s relationship. Meek Mill tweeted yesterday (July 3) about Budden’s comments. Nicki Minaj commented on Budden’s statements. Budden also tweeted that Meek Mill took some of his comments out of context and that he didn’t want to go against him on the mic. 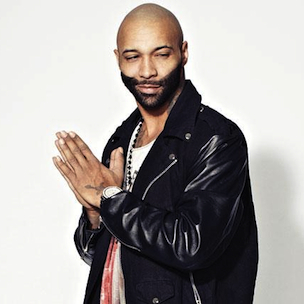 And I brung joe buddens out on my sold out show in NYC….. It was a funeral when you got the mic! Stop it old hating noodle! Yall guys talk about other men too much..Don't let my album do good..Ima change all dat and that and expose how lame yall dudes really are! @MeekMill #1. I think you've taken some things outta context. I didn't diss u. #2. U don't rap well enough to go this route w me. Why would you be bothered by another man showing love to his girl? Let's celebrate black love. All the best w/ur podcast. All jokes aside.